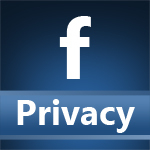 On Monday, the Virginia General Assembly approved a measure that would make it easier for parents or legal guardians to obtain access to the Facebook profiles of their deceased children. The bill passed by a vote of 96 to 4, and now waits on the Governor’s approval to be signed into law. “This really is the first step,” said Del. Thomas C. Wright Jr., who helped create the bill. “It is particularly important for parents to access [social media accounts] whenever their children die for whatever reason or commit suicide. That will help them find answers.” Facebook currently allows for profiles to be memorialized if proof of a user’s death, like an obituary or newspaper article, is presented. They also remove the profiles and all related data if family members of the deceased user request it. While the law does make total sense, especially in regards to children who take their own lives, it’s still an uncomfortable privacy barrier to cross. Giving parents total access to a deceased child’s online presence is an unprecedented legal move, and one that more and more legislatures will have to grapple with as they update their laws to reflect 21st norms.